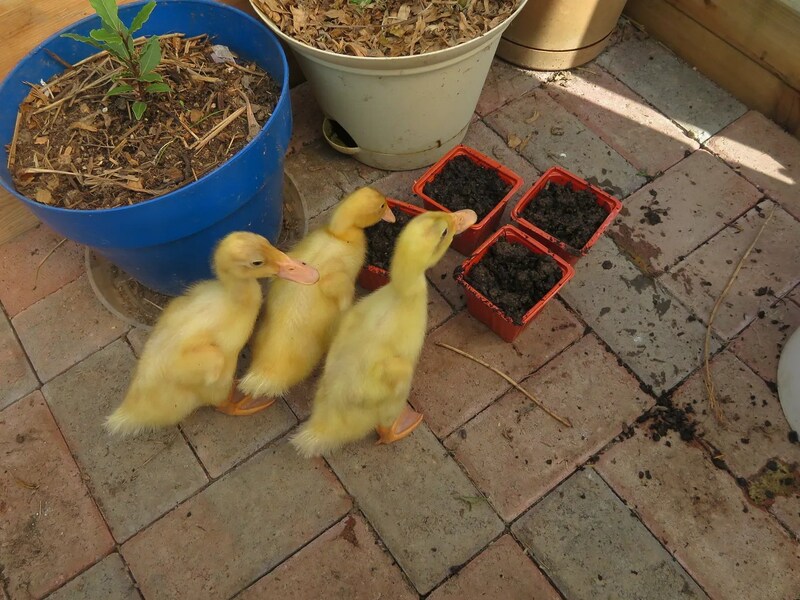 I always intended to have a trio of ducks, but sadly, one duckling had something wrong with it, and died in the first hour after I brought it home. 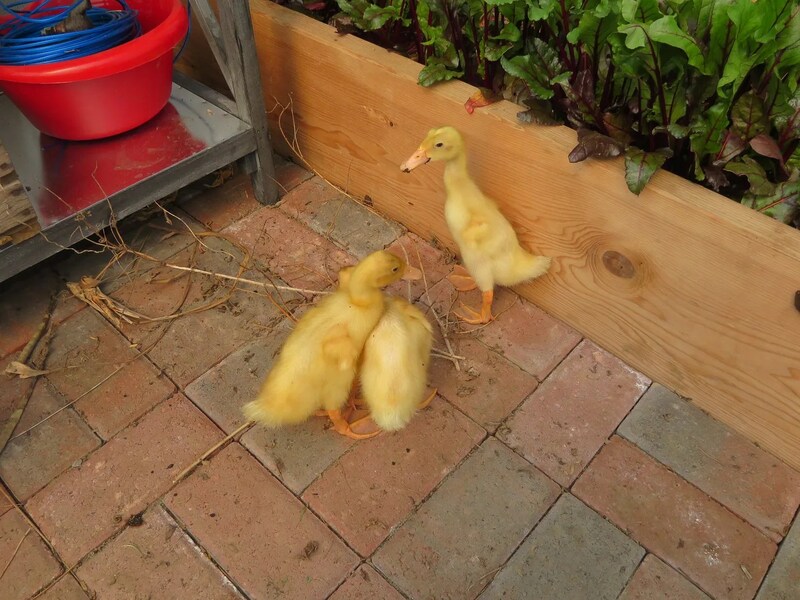 So this Spring, I bought three more ducklings. I’ll keep one of them, and re-home the other two. Hopefully one will be a male (for me) and the other two females…because if they are, I already have two friends interested in them. 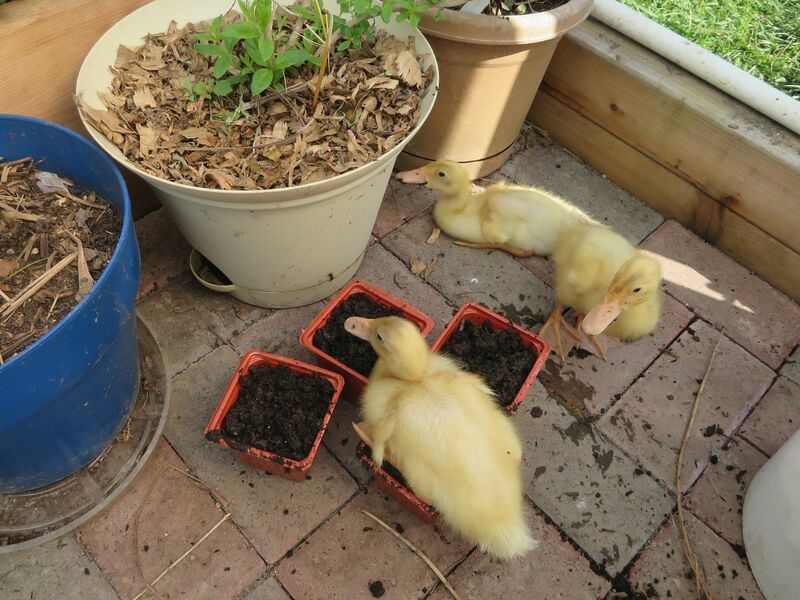 Because I was so busy outside, I started letting them come out with me, and “help” me garden. They were so perfectly sweet. 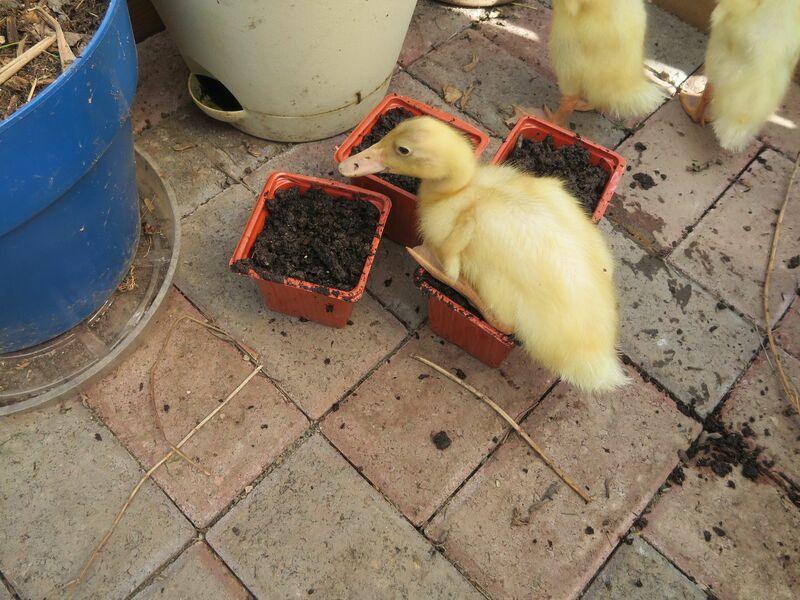 Here they are, assisting me with potting seeds in the greenhouse. They are fawn and white Indian Runners. I looked down at one point, and one had planted herself! But they always grow up so fast. 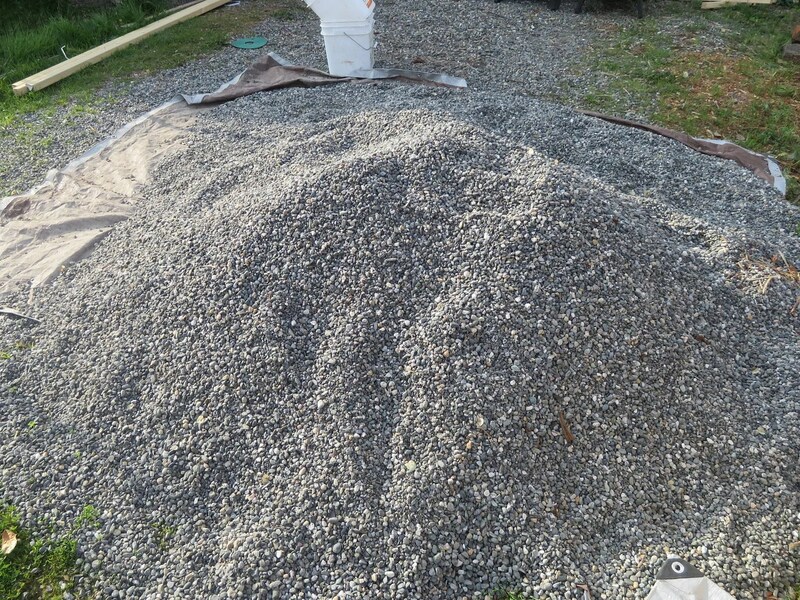 We brought in a load of gravel for them. 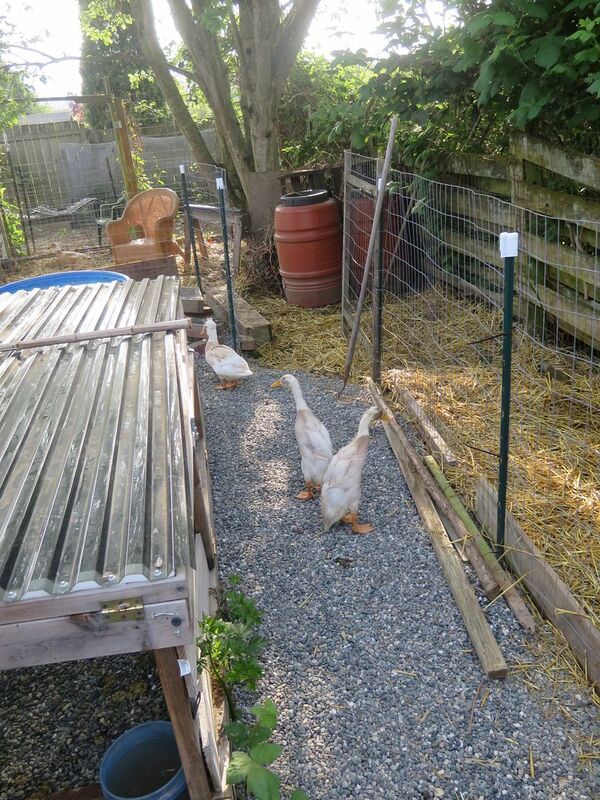 We had shavings in their duck pen, but it wasn’t working out well. Too stinky and messy. I heard of someone using gravel, and then you can just wash the poop down through it. Seemed like a great solution. The ducks seems to like it better too. 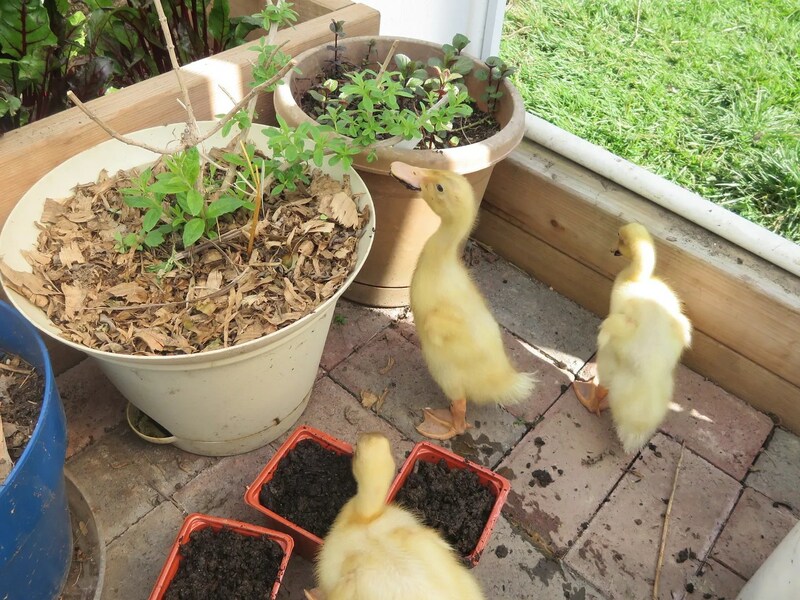 This entry was posted in ducks and tagged ducks, indian runners. Bookmark the permalink. They are so incredibly cute! Instant jealousy! Do you have a name for the one male staying with you yet? Hopefully one of them is male, fingers crossed. It looks like all three are male, so I’ll definitely have a choice. I still don’t have a name. Any suggestions? Needs to begin with M and sound cute with Millie and Maisie! How about Melvin? 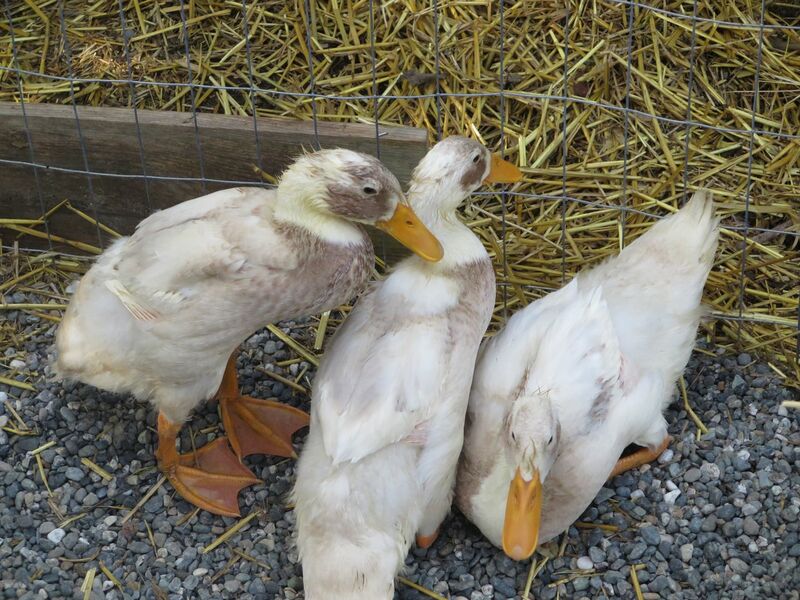 Rhymes very well with Millie and Maisie, and sounds like a name that would fit for a little goofy male duck! That name is on the short list! Along with Morrie, Moffat, and Montgomery (Monty).